Former US president Bill Clinton is expected in Northern Ireland to mark the 20th anniversary of the Good Friday Agreement.A conference will feature key players involved in the deal including ex prime ministers Tony Blair and Bertie Ahern.Former US Senator George Mitchell, who chaired the talks, will be among the guests in Belfast.The agreement helped bring an end to 30 years of sectarian conflict, known as the Troubles. However the Northern Ireland Executive has not met since January 2017 due to a bitter dispute between the DUP and Sinn Fein. Speaking to the BBC's Today programme, Mr Blair said: "The lesson with these things... is that once you've got a viable peace process you've got to just work at it and work at it and realise that the right comparison is with what things were like during the course of the Troubles. "We used to wake every day to death and destruction. 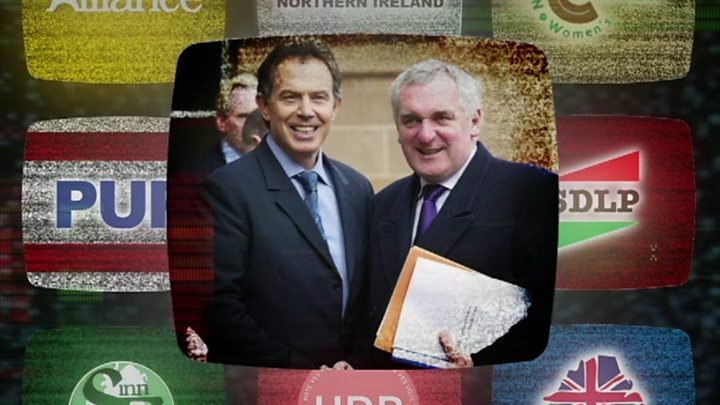 "He added that he would have liked to have seen the executive still up and running and some of the deep divides in Northern Ireland society gone on the 20th anniversary.The agreement was ratified in a referendum on both sides of the Irish border in May 1998 and set up a power-sharing assembly to govern Northern Ireland by cross-community consent.However, the deal proved difficult to implement and was amended by the St Andrew's Agreement in 2006. The DUP's Sir Jeffrey Donaldson, who was part of the Ulster Unionist negotiating team in the run-up to the agreement, said the party's then leader David Trimble had been bullied into signing a flawed deal. "It didn't see an end to paramilitarism, it didn't see the promised political stability that the agreement heralded and here we are 20 years on from the agreement without a government," he said"Northern Ireland is in a better place today than it was 20 years ago, that's for sure, but we still have a long way to go and the flaws in the agreement that were not addressed at the time still need to be addressed. "Sinn Fein's Mairtin O Muilleoir said the promise of the agreement has not been fulfilled. 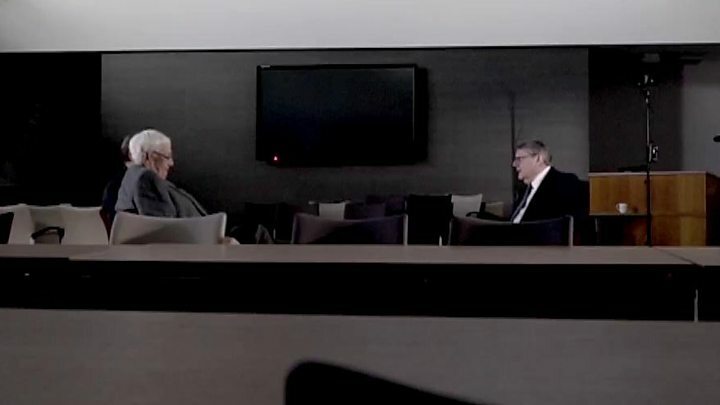 "I think the spirit endures, I think the letter of the Good Friday Agreement endures, I think the principles of the Good Friday Agreement will guide us," he said. "It was founded on this awkward but marvellous architecture of rights and of inter-relationships and interconnections and I think we have to return to that and this issue of rights." It was a deal reached after several years of talks between political parties and nearly 30 years of violence. It was signed on 10 April 1998. It included plans for a Northern Ireland Assembly with a power-sharing executive and new cross-border institutions involving the Republic of Ireland to deal with issues like farming and health. The Republic of Ireland dropped its constitutional claim to the six counties that form Northern Ireland. There were also controversial proposals on the decommissioning of paramilitary weapons, the future of policing in Northern Ireland, and the early release of paramilitary prisoners. To mark the agreement's anniversary, a conference will be held at Queen's University in Belfast, entitled Building Peace: 20 years on from the Belfast/Good Friday Agreement.Prof James McElnay, the university's acting vice-chancellor, said: "We are honoured and delighted to welcome President Clinton to Queen's University to mark the 20th anniversary of the Belfast/Good Friday Agreement. "His role and influence on the peace process in Northern Ireland was pivotal to ensuring all parties reached agreement in April 1998. "To have him back Northern Ireland for this significant anniversary is a privilege." Others who will be attending include Jonathan Powell, who was an adviser to then then prime minister Tony Blair at the time of the peace agreement, and former taoiseach (Irish prime minister) Bertie Ahern.Lord Trimble and Seamus Mallon - the former first and deputy first leaders of the Northern Ireland Assembly - will also be there. Later, Mr Clinton and Mr Mitchell will both receive the freedom of Belfast in a special ceremony at the Ulster Hall.They will be the 83rd and 84th recipients of the freedom of the city of Belfast.